I always use the solder joint known as the “Western Union Splice” as shown, because although it is very weak while you’re trying to solder it, it is the strongest type of joint after it is soldered. You just strip both wires back approximately 1”, overlap them facing each other, then twist and solder. 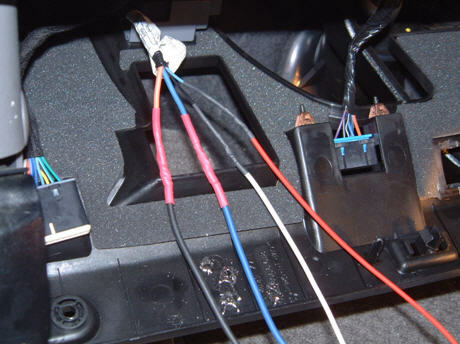 NOTE: Be absolutely sure you are heating up the wire, and touching the solder to the wire to melt it. If you are melting the solder on the soldering iron tip, you will more than likely get a cold solder joint, which will make a poor connection, and may come apart completely. 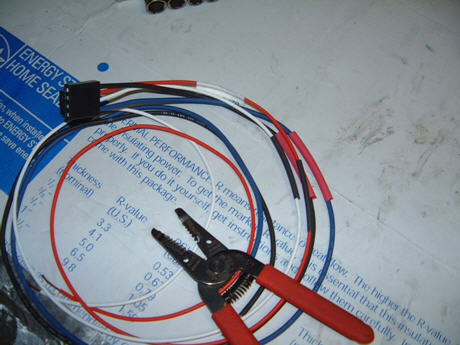 Step 7: When wires have cooled, slide heat shrink over bare wires, and shrink it using a heat gun. 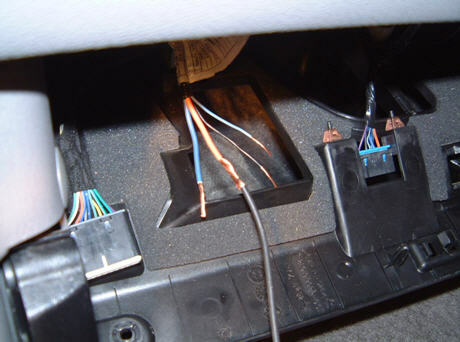 At this point, after the heat shrink has been applied, reconnect the battery cable or put the fuse back in, plug the connector into the brake controller, and make sure it turns on and says “trailer not connected” when you press the brake pedal. If it works, proceed to the next step. 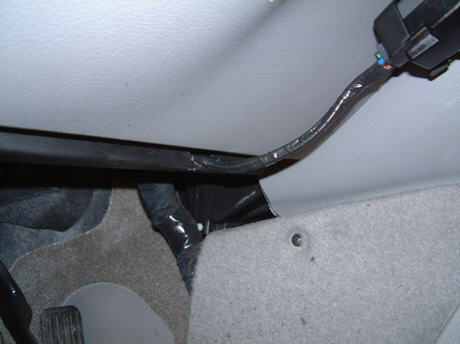 Step 8: Wrap entire loom in electrical tape, to keep wires from getting separated and caught on anything. Step 9: Pick a suitable place to mount the unit. 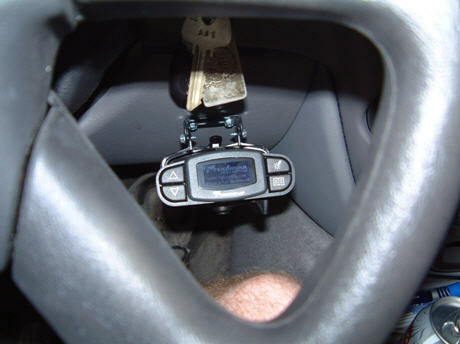 I like to be able to see the unit through the steering wheel, without having to move my head. 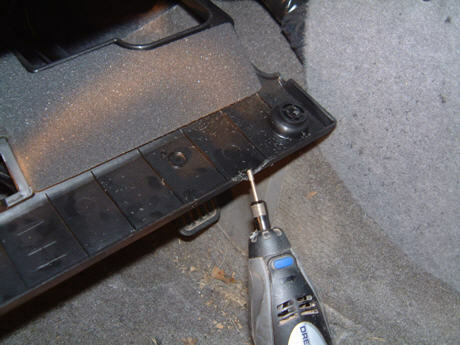 Use the ¼” socket or nut driver and fasten the mounting bracket onto the dash, using the supplied self-tapping screws. 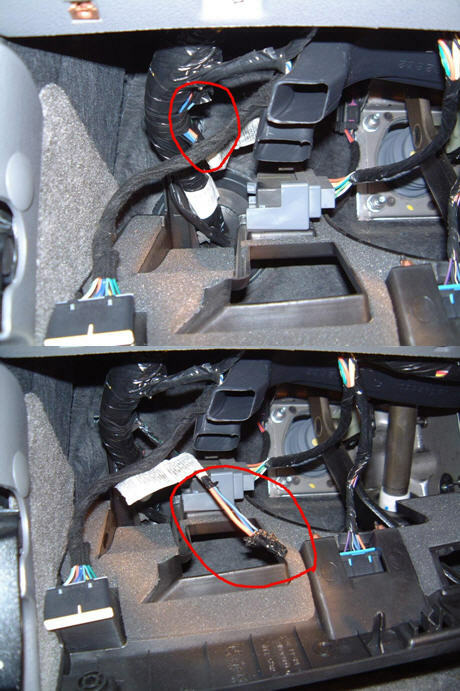 NOTE: If using any kind of inertia-style brake controller, like the Prodigy or P3, be sure the bracket is horizontal, and the unit will be facing directly into the direction of travel. These cannot be mounted sideways. 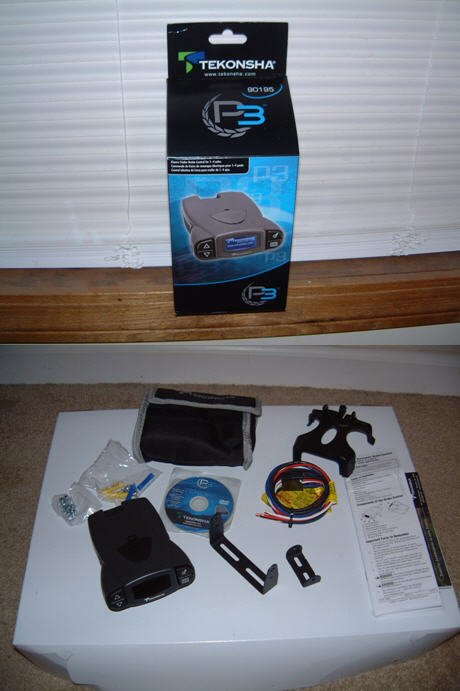 The picture does not look like it, but the controller is mounted roughly level, in the direction of travel. Use the ¼” socket on the ¼” drive ratchet to secure the mounting bracket to the P3 mounting clip, using the supplied self-tapping screws. 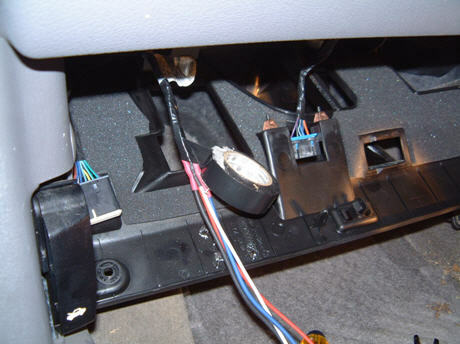 Step 10: Use the Dremel or file to take the front of the plastic on the kick panel, off, to leave a place for the wires to go into the dash area, and not get pinched. I put the cutout right where the indent is for the knee panel to mount. 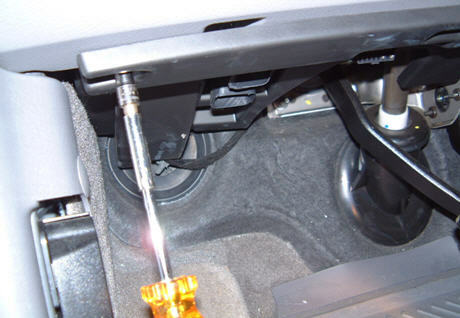 Step 11: Using the screws you took out earlier, use the 9/32” nut driver or socket to put the lower kick panel back into position, being careful to route the wires into the cutout you just created, and that they don’t pinch. 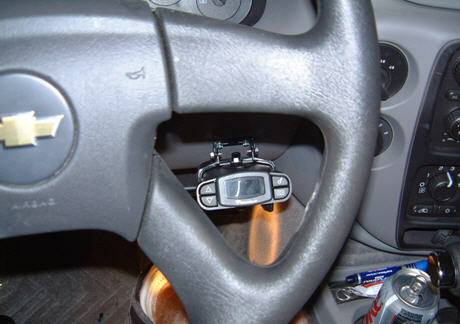 Make sure the unit is working by plugging in an empty trailer and using the trailer brakes. That’s it. You’re done.